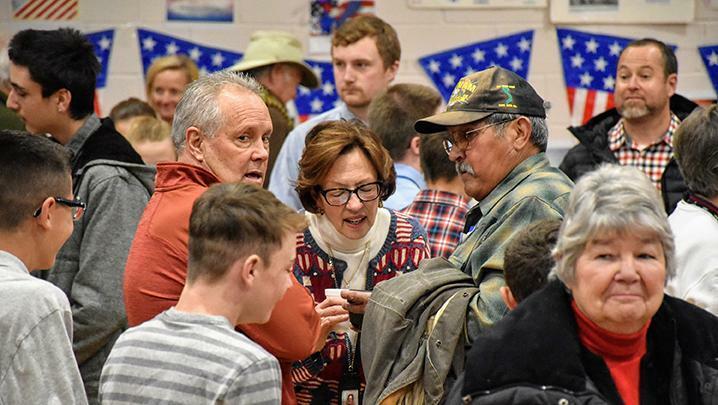 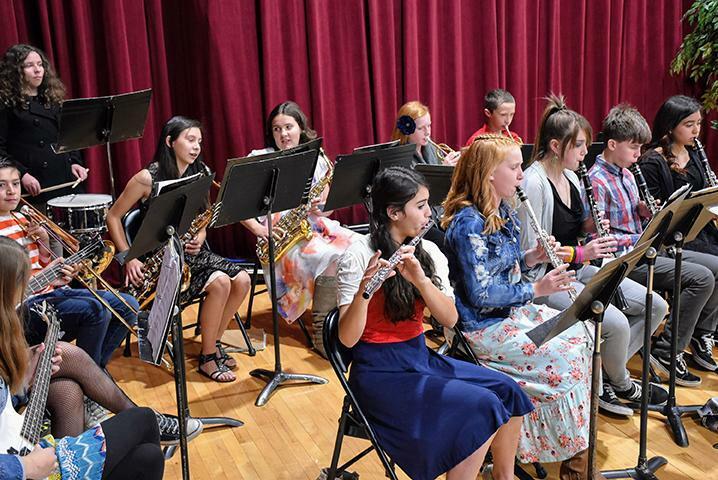 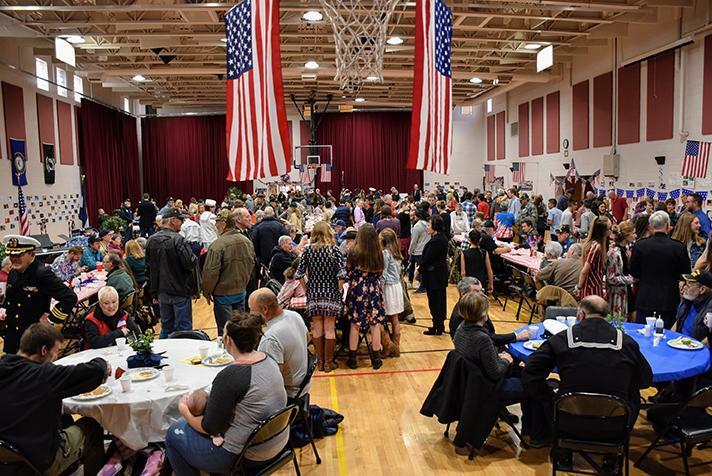 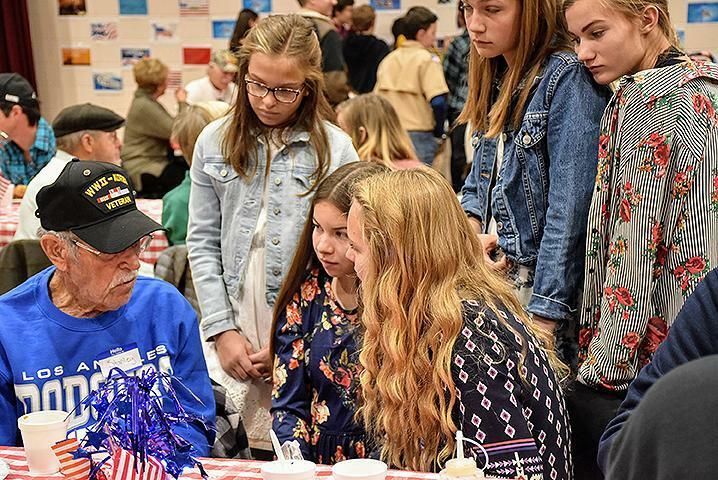 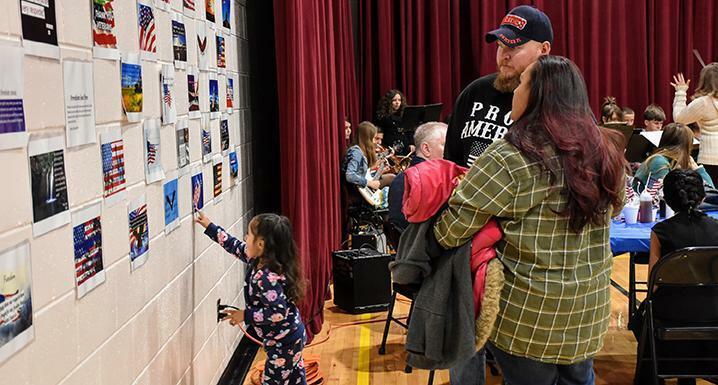 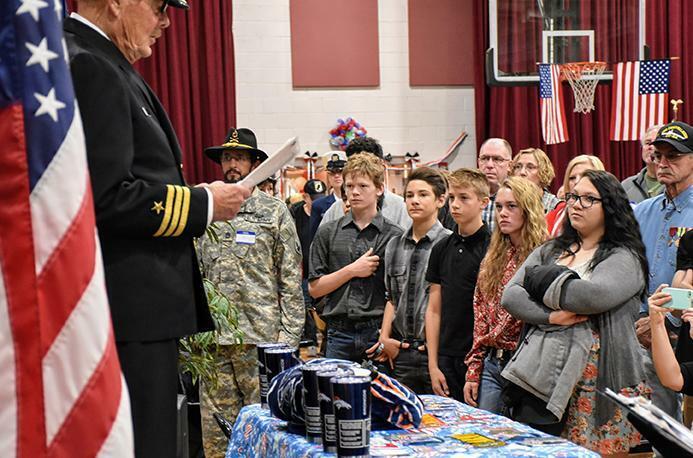 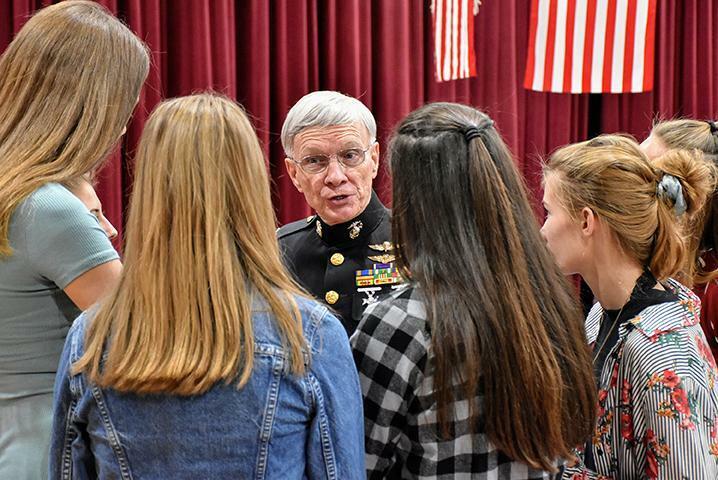 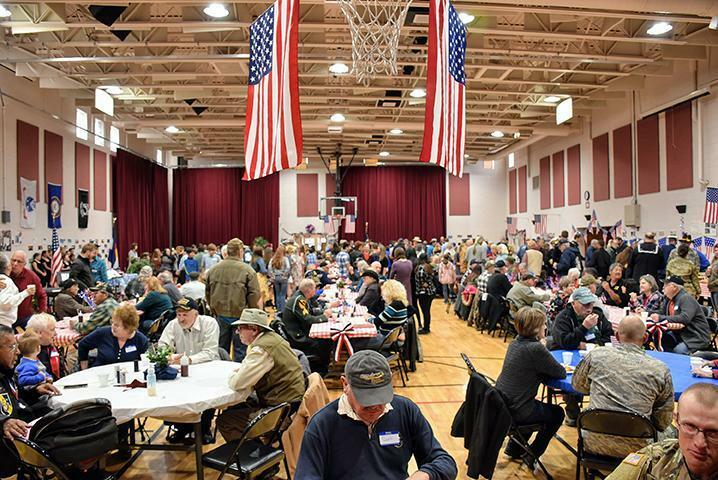 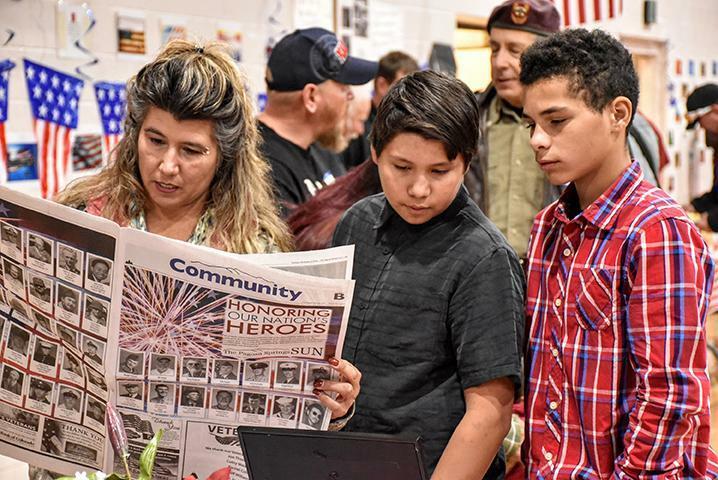 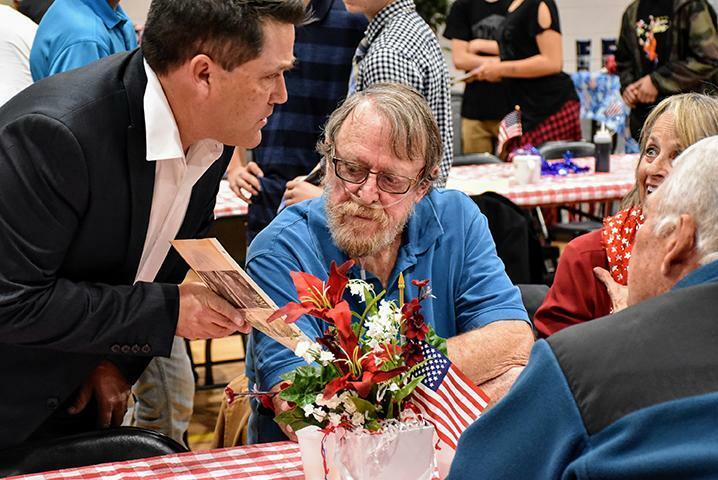 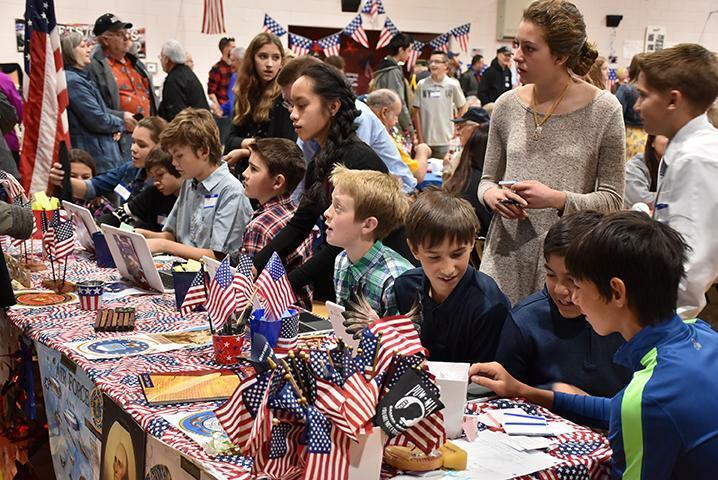 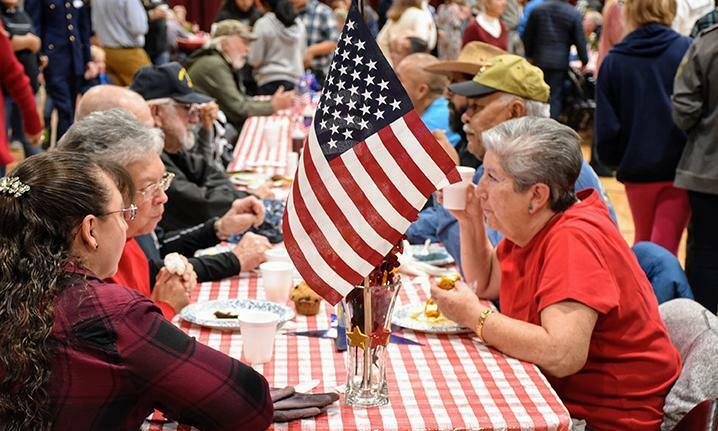 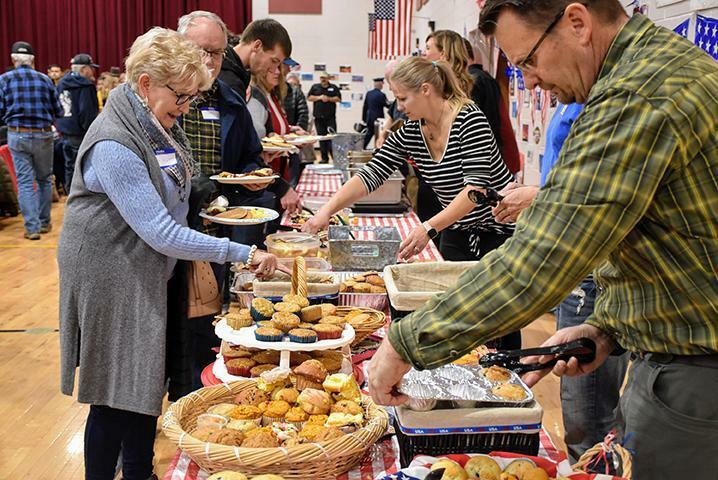 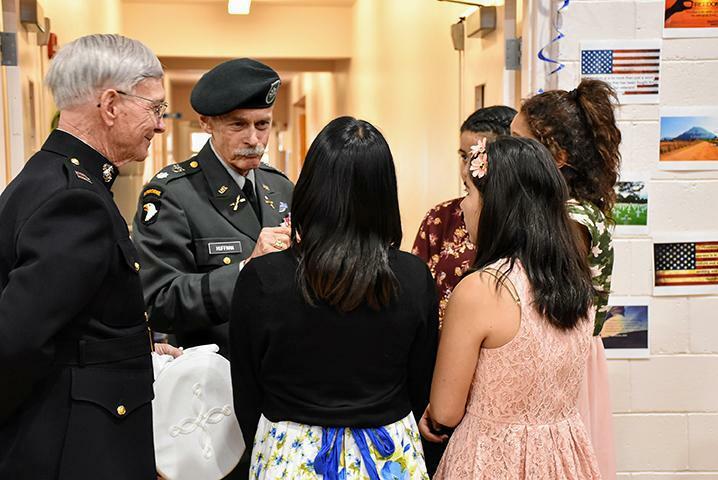 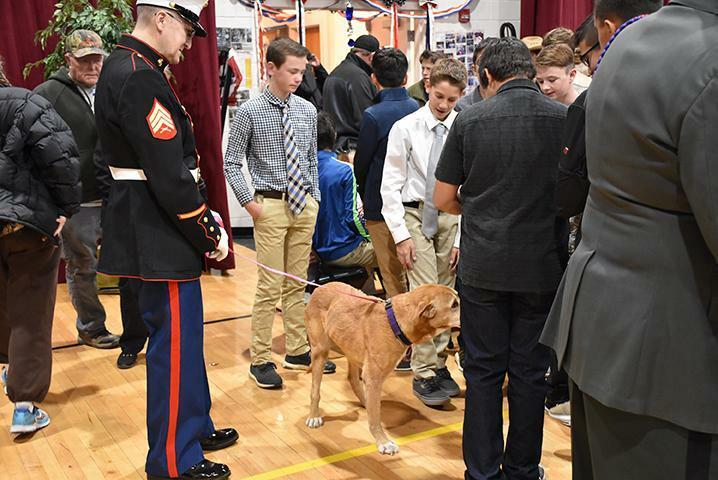 On November 12, 2018, eighth-grade students from Pagosa Springs Middle School participated in the annual Veterans Day Breakfast, an annual tradition for the past 18 years. 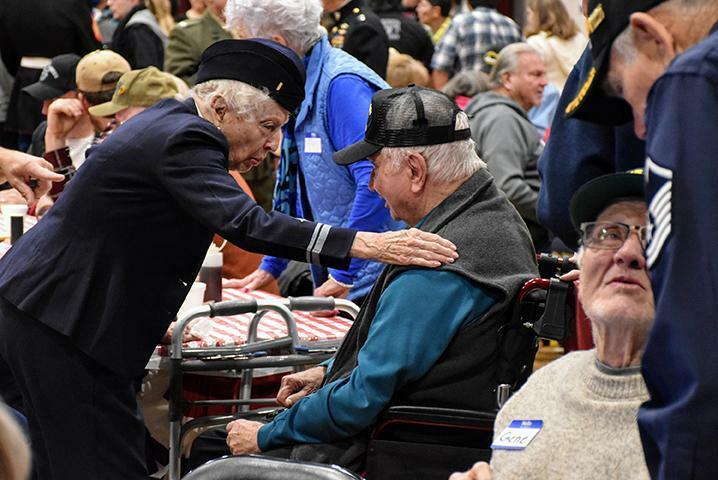 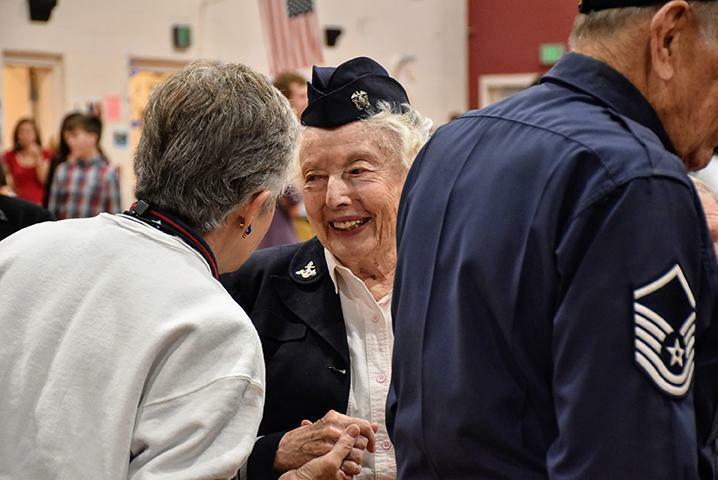 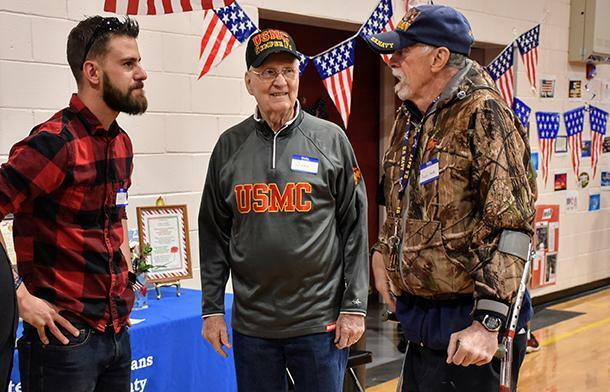 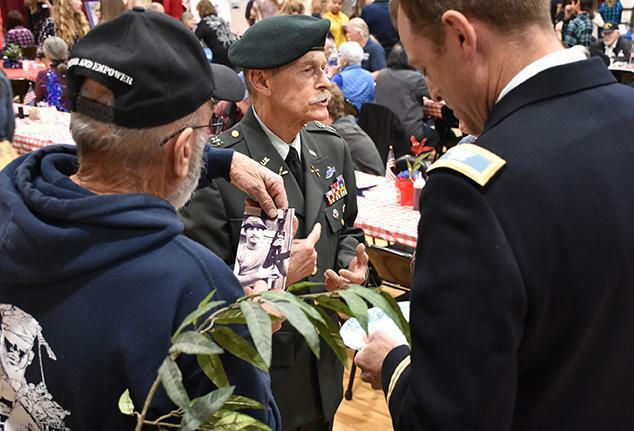 At least 350 Pagosa Springs residents — 200 of them veterans — showed up for the event, created to honor and remember all those who serve in the U.S. Armed Services throughout the years. 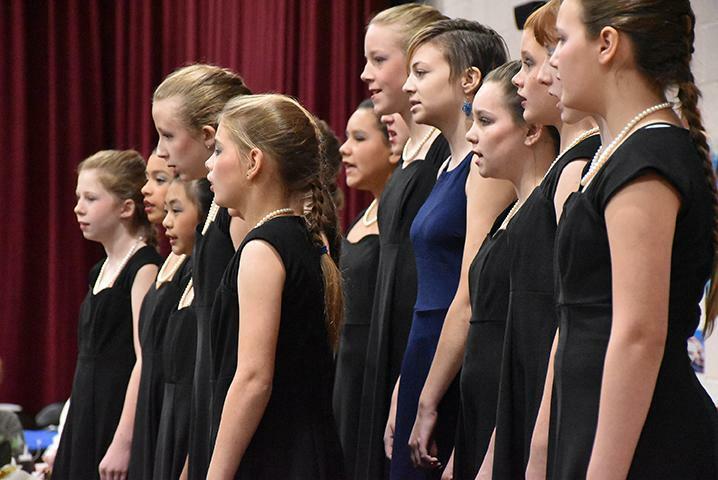 Besides a hearty breakfast, attendees were treated to performances by the middle school girls choir and band. 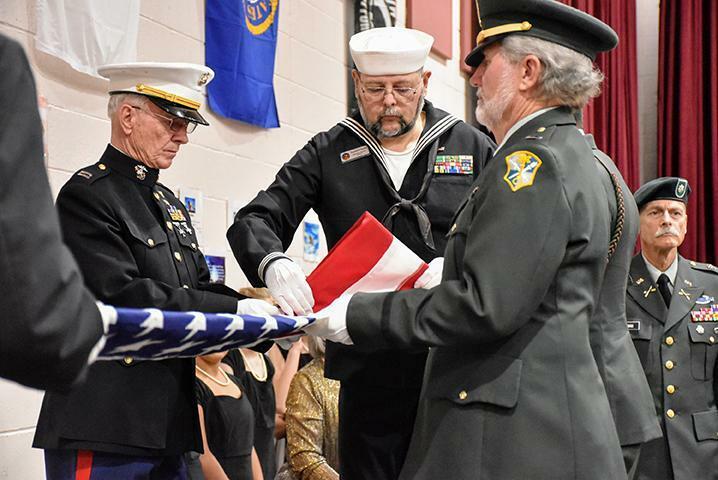 Plus, several veterans participated in a ceremony used to honor fallen soldiers, including Don Strait, Navy Commander; Raymond Taylor, Navy, 1st Class Petty Officer and veterans administrator for Archuleta County; Logan Gohlson; Jim Huffman, Army Lieutenant Colonel; Roy Vega, Army Captain Military Police Corps, and others. 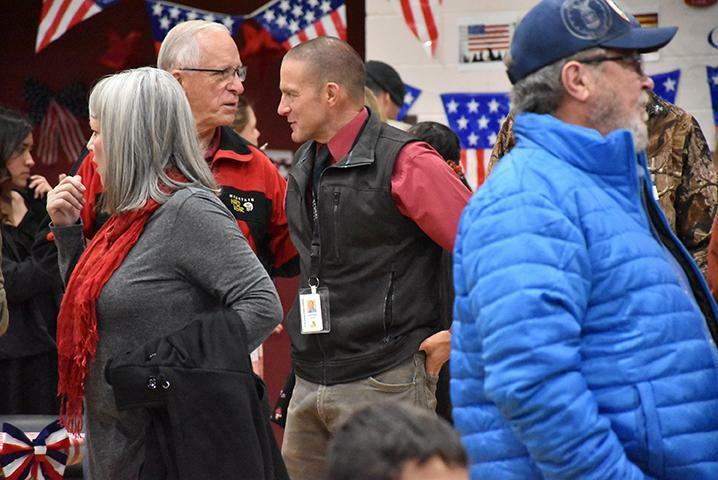 ASD thanks all of the parent volunteers and Community Center staff, who helped make the event a success. 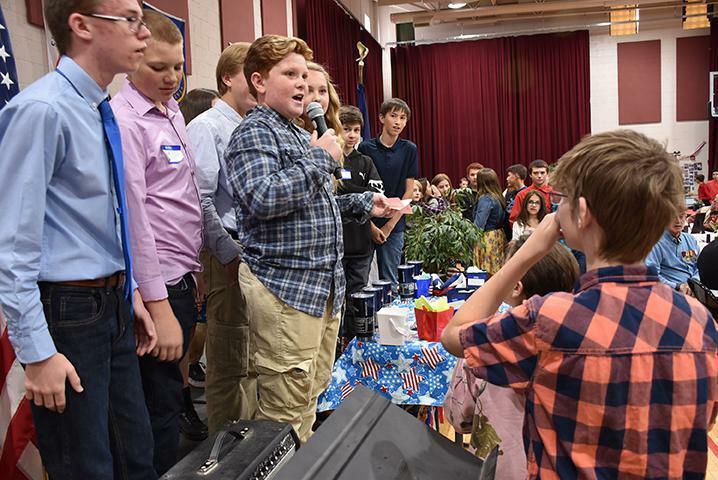 Special thanks to 8th grade History teacher, Scott White, who organized the celebration. 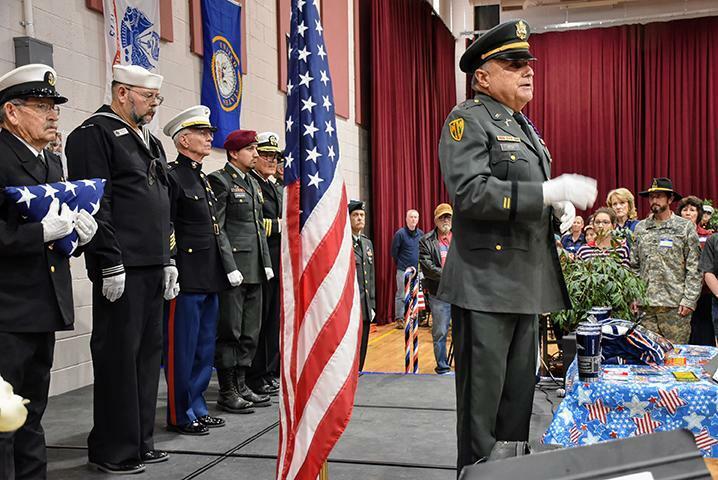 Photos below automatically rotate for viewing.